Robotic machining is the process where a raw material is cut into a desired final shape and size by a controlled material-removal process, using a robot arm. Machining encompasses different material removal applications, such as milling, drilling, chamfering, and deburring, typically performed by automated machine tools (CNC). 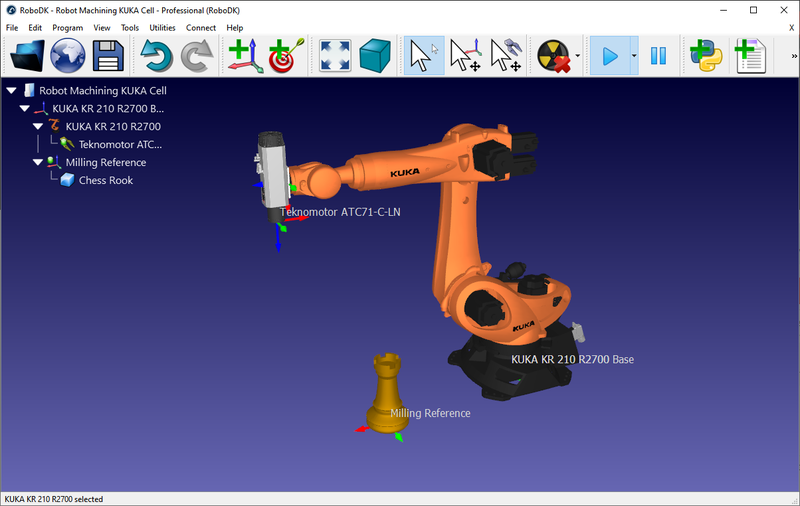 Industrial robots can be used like a machine tool (3-axis or 5-axis CNC) using RoboDK. 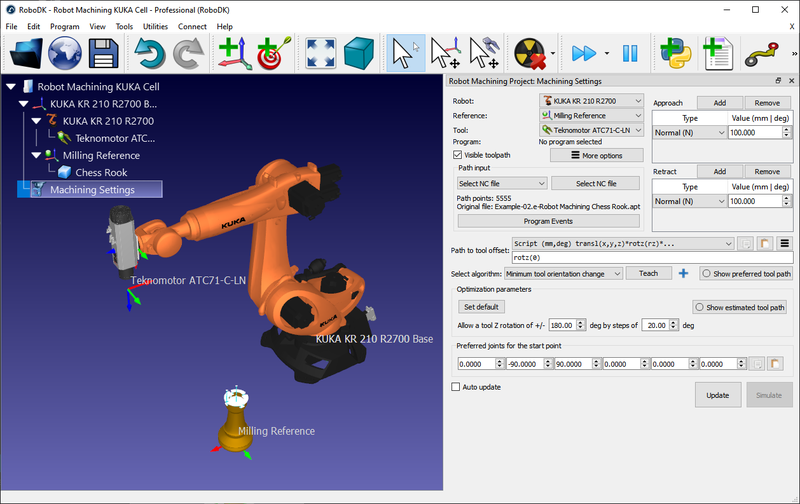 To achieve the same or better results as CNC machines, industrial robots require advanced Offline Programming software technology such as RoboDK to convert machine programs to robot programs. The part dimensions are defined using computer-aided design (CAD) software, and then translated into manufacturing programs (such as G-code) by computer-aided manufacturing (CAM) software. The manufacturing programs can then be converted to robot programs using RoboDK’s Offline Programming tools. Additional axes, such as a turntable and a linear rail can be synchronized with the robot to extend the workspace. 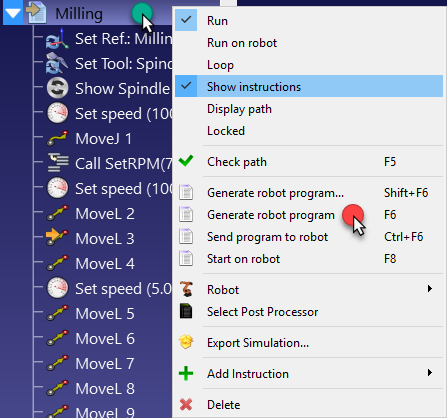 This section shows how to prepare a simple RoboDK station offline for robot machining. A RoboDK station contains all robots, tools, reference frames, objects and other settings. More information about building a RoboDK station in the getting started section. For example, select the ABB IRB 2600-20/1.65 (20 Kg payload, 1.65 m reach). c. Select Download and the robot should automatically appear in the main screen. Tip: An object can be converted to a tool by drag & dropping the object to the robot in the station tree. More information here. Tip: Move the reference frame instead of the object. The reference frame will be used to locate the part once the milling program is ready to be executed by the robot. Note: The RoboDK station is stored in one file (RDK file). 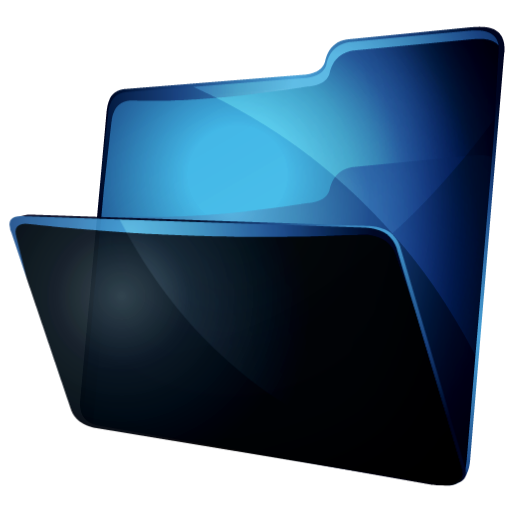 It is not required keep a separate copy of the robot files, tools and objects, they are saved in the RDK file. A new window will pop up, as shown in the image. Tip: Load the NC file directly to set up the project automatically. It is possible to drag & drop the file to the RoboDK window. 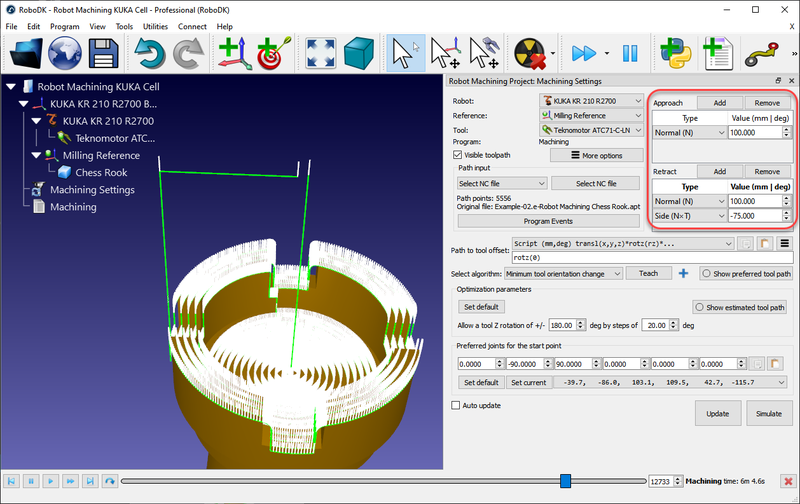 The machining toolpath is displayed in Green and the path normals are shown as White vectors. Uncheck Visible toolpath to hide the toolpath. Tip: It is possible to set a tool (TCP) relative to another TCP in the tool options window. Important: The object with respect to the reference frame must match with the machining toolpath. If this is not the case, align the object reference with the machining reference so that the reference that can be located in a real setup. o Select NC file: As one NC file (obtained from CAM software), as described in this section. o Select curve: As one or more curves, as described in the Curve Follow Project Section. It is possible to import curves as a list of coordinates in RoboDK. o Select points: One or more points, as described in the Point Follow Project Section. It is possible to import points as a list of coordinates in RoboDK. The approach/retract movements can be provided at the top right of the menu. Select Add to add an additional movement. The green path will be updated accordingly. It is possible to select between a normal movement (along the white normal), tangent (along the Green path) or along specific axes with respect to the part. Double click the value to modify the length or select Remove to remove a specific movement. The path to tool offset allows changing the preferred orientation of the tool along the toolpath. This option is mainly used to turn the tool around the Z axis of the TCP. Note: Generally, robot machining tools have the Z axis along the cutting axis, pointing outwards. The Z axis of the tool will match the toolpath normal by default. Since a 6-axis robot is used to follow a 3-axis or 5-axis CNC manufacturing program we have an additional degree of freedom to define. This degree of freedom is usually the rotation around the Z axis of the TCP. By default, the path to tool offset displays a rotz(0) transformation. This value can be modified to establish the preferred orientation of the tool, modifying the orientation around the Z axis of the TCP or in combination with other axes. The preferred orientation is the orientation the robot will try to keep while following the toolpath. Tip: The reference frames section provides more information about other ways to enter position and orientations. By default, RoboDK uses the Minimum tool orientation change algorithm. This means the orientation of the tool is kept as constant as possible along the toolpath. In general, this option is suitable for milling operations as it minimizes robot joint movements. 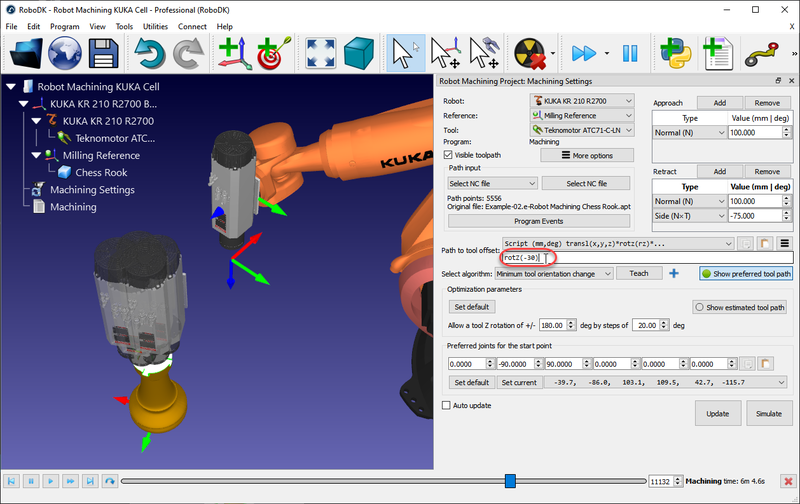 Alternatively, other algorithms/methods are available, such as the tool orientation following the toolpath (useful for cutting applications), or the robot holding the object if the toolpath needs to be followed attached to the robot tool (for example, for dispensing or polishing applications). Tip: Select the Show preferred toolpath button to see an immediate representation of the result as the orientation is changed. Tip: Use the mouse wheel while the cursor is on top of the rotz(0) text to gradually modify the orientation. Given a preferred orientation, the robot can have a certain freedom to turn around the Z axis of the tool. This allows the robot to accomplish the program avoiding robot singularities and axis constrains. By default, RoboDK allows the tool to rotate up to +/-180 degrees around the TCP axis by steps of 20 deg. It is recommended to constrain this rotation depending on the application. For example, it is possible to enter +/-90 degrees to constrain the allowed rotation by half. 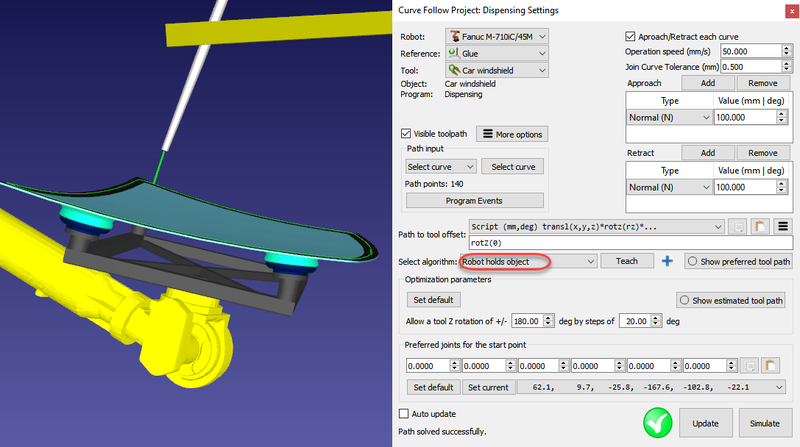 Tip: Select Show estimated toolpath to see the reachable points (in green) and the unreachable points (in red). The reachable points might be rotated with respect to the preferred toolpath to make the targets reachable by the robot. If some points of the path are not reachable, it is recommended to move the reference frame or to be more permissive with the tool Z rotation. The reference frame can be moved holding the Alt key. Note: The estimated toolpath will be displayed as the reference frame or the TCP are modified if the Auto update option is checked. Tip: Smaller step values allow a more gradual reorientation of the tool as it is crossing a singularity. On the other hand, it might take longer to calculate the toolpath. Note: Set the allowed rotation around Z to 0 degrees to fully constrain the tool according to the preferred orientation. 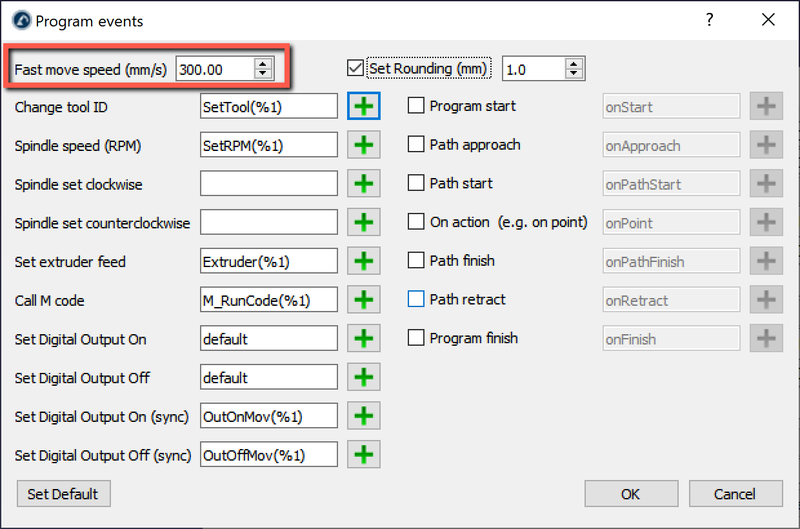 Select Update to obtain the program according to the provided settings. A green check mark is displayed if the program can be successfully created. We will then see a new program in the station. 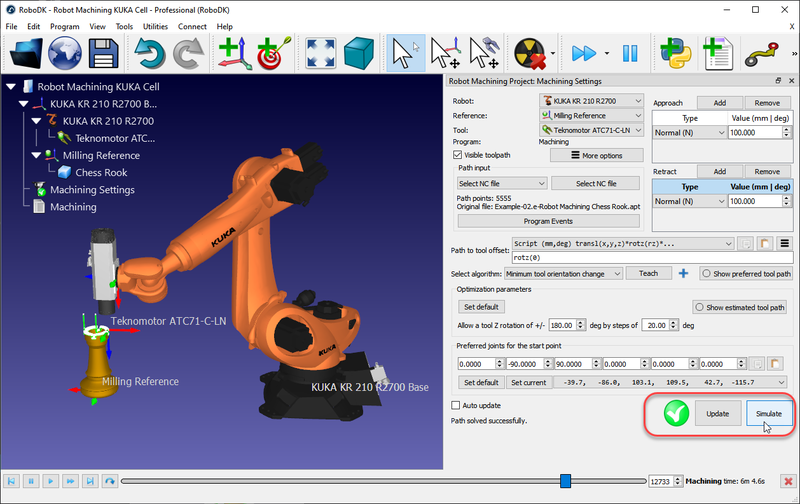 Double click the generated program or select Simulate to start the robot machining simulation. 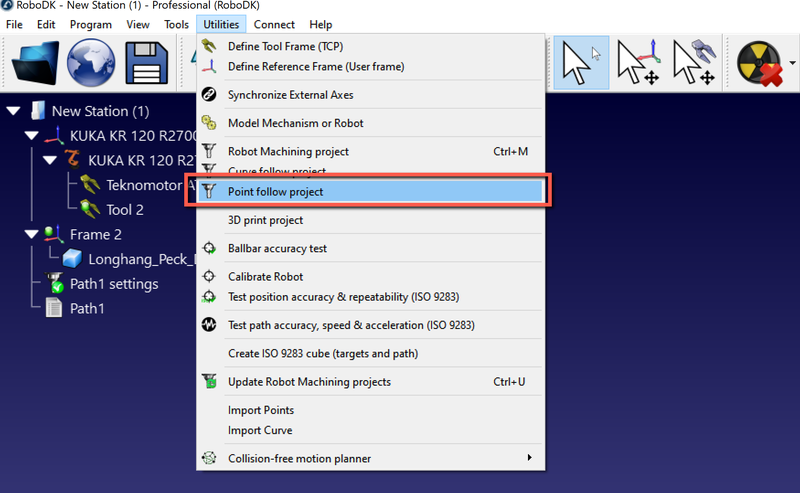 Right click the program and select Generate robot program (F6) to obtain the program. More information about program generation in the Program section. Note: By default, RoboDK hides the instructions of a program. Right click the program and select Show instructions to see the list of instructions. A yellow arrow shows if the program is being simulated and what instruction is being executed. RoboDK automatically selects the start configuration that is closer to the preferred start joints (Preferred joints for the start point). From that point, the robot will follow linear movements, so the robot configuration will not change. A dropdown menu will display all the possible solutions to start the program. If required, select a preferred configuration and select Update to recalculate the program. It is possible to keep the orientation of the tool constant along the path. This behavior is useful for cutting or welding applications for example. 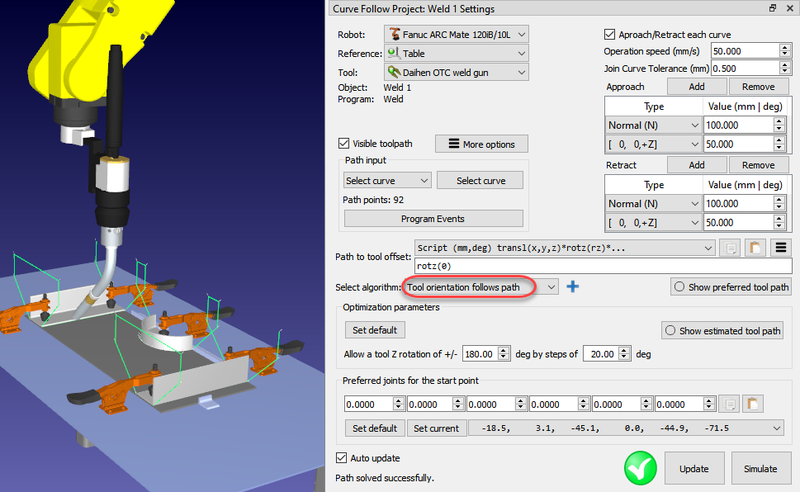 Select Tool orientation follows path in the Select algorithm dropdown to recalculate the preferred toolpath. The other settings are the same as having a Machining Project with a constant tool orientation. It is possible to program a robot when it holds the object/toolpath with the tool with the robot while the manufacturing operation takes place. This is useful for glue dispensing or polishing applications for example. 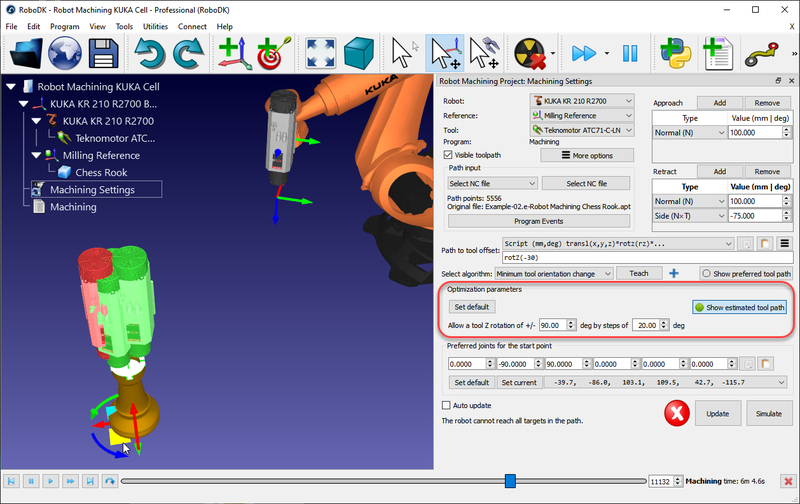 Select Robot holds object in the Select algorithm dropdown to properly place the toolpath on the TCP reference. The other settings are the same as having a Machining Project with a constant tool orientation. Important: It is strongly recommended to have the points of the toolpath close to each other if the tool orientation is changed. It is possible to make a robot follow curves in the 3D space with RoboDK. Curves in RoboDK can be selected from object edges or imported as a list of points in CSV files. This option is useful for robot welding applications for example. Tip: Curves can have a normal vector that will be matched with the tool Z axis (usually normal to the surface). Curve Follow Project to open the curve follow settings. These settings are the same as a Robot Machining Project, the only difference is that the Path input is preset to Select curve. Select Select curve to select the curve(s) on the screen. Select the curves with a mouse left click. Selecting the same curve twice will switch the direction of motion. Also, right clicking a previously selected curve allows switching the sense or deselect a previously selected curve. Note: The order of motion is displayed in green numbers. Display and reduce the curve pick sensibility if the curves are too close to each other. Also, reduce the arrow size to display smaller green arrows along the path. Right click the screen and select Done or press the Esc key to go back to the settings menu. The green path will display the robot motion with respect to the object. Note: Among other things, the Program Events settings allow changing the motion speed during the approach and retract movements. Import Curve. A new item will appear in the station showing the curve as an object. Tip: Drag and drop a CSV file (.csv format) like the one shown in the image to automatically import the file as a curve. The file can be a text file with the 3D coordinates of each point of the curve. Optionally, the orientation of the Z axis of the tool can be provided as an i,j,k vector. 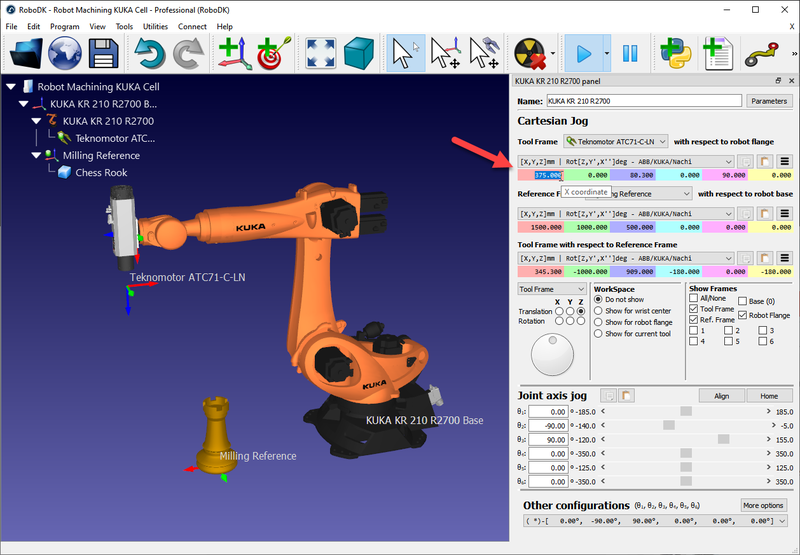 Note: Object edges can be automatically extracted when a STEP or an IGES file is loaded in RoboDK (more information available in the STEP/IGES import section). Optionally, existing curves of an object can be exported as a CSV file (right click a curve, then, select Export curve), modified and reimported back in RoboDK. 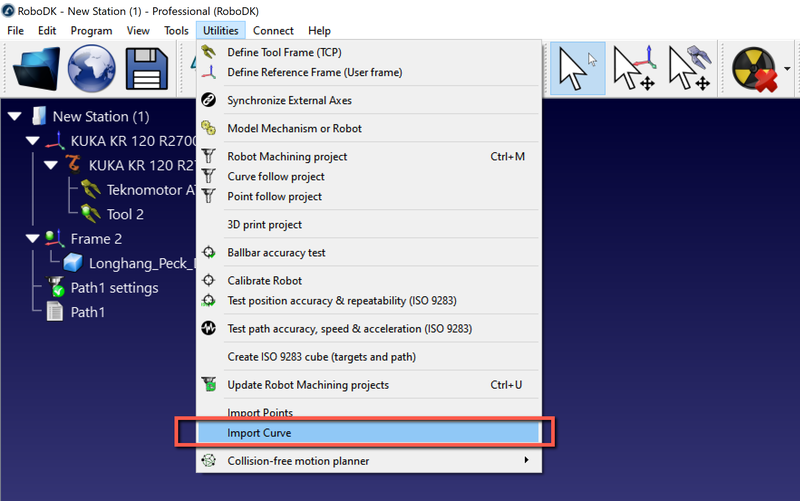 It is possible to make a robot follow points in the 3D space with RoboDK. Points in RoboDK can be extracted from objects, curves or imported as a list of points in CSV files. This option is useful for spot welding or drilling applications for example. The following video shows an example to set up a spot welding application: watch video. Tip: Points can have a normal vector that will be matched with the tool Z axis (usually normal to the surface). Point Follow Project to open the point follow settings. These settings are the same as a Robot Machining Project, the only difference is that the Path input is preset to Select points. Select Select points to select the point(s) on the screen. Select the points with a mouse left click. Selecting the same point twice will switch the approach direction. Also, right clicking a point allows selecting the points that follow by selecting Select next. Display and reduce the point pick sensibility if the points are too close to each other. Import Points. A new item will appear in the station showing the points as an object. Tip: Drag and drop a text file (.txt format) like the one shown in the image to automatically import the file as a list of points. Note: Points in parametric object files (such as STEP and IGES files) are automatically imported by default (more information available in the STEP/IGES import section). Optionally, existing curves of an object can be converted into points by right clicking a curve, then, selecting Extract curve points. 3D printing or additive manufacturing is the process of making three dimensional solid objects from a digital file. Industrial robot arms can be used as a 3-axis 3D printer or as a 5-axis 3D printer with RoboDK. The following video shows an overview of how to setup 3D printing with RoboDK offline: watch video. 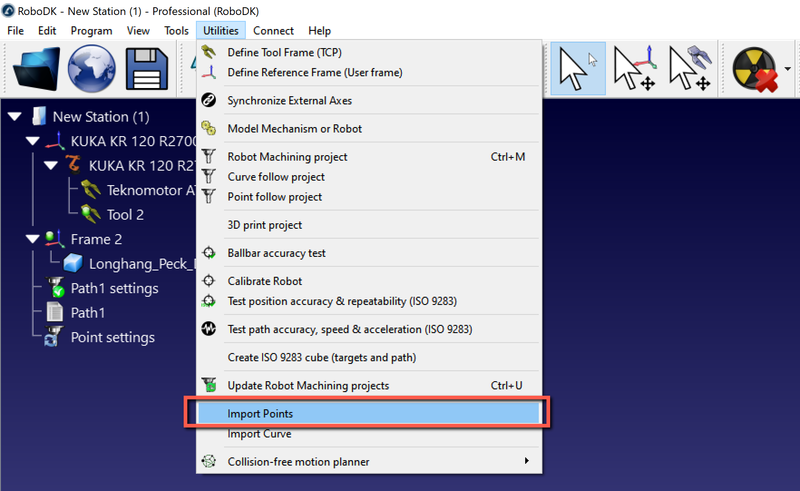 o Directly convert G-code programs (NC file) to robot programs with RoboDK, as shown with the Robot Machining project. The rate of material flow (extruder directive E) is properly taken into account for each movement and it can be integrated in the generated program as a Program Event. G-code is a type of NC file supported by RoboDK and it is also a format supported by many 3D printers. 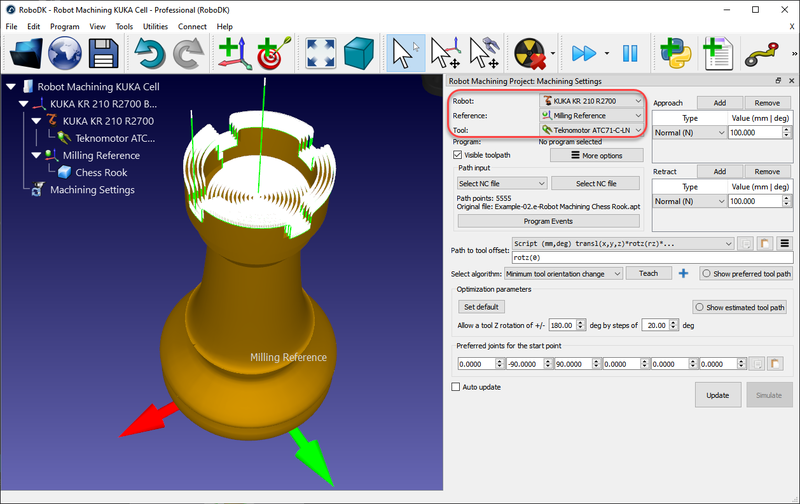 Most slicer software can generate G-code given an STL file. Note: Slicers create the instructions for the machine (G-code) from a 3D model. The instructions define the extruder toolpath with a rate of flow. 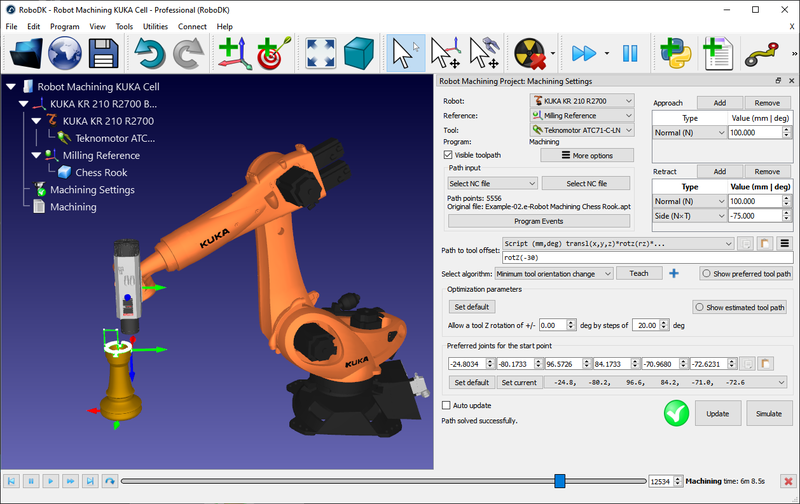 It is required to combine RoboDK with slicer software to properly accomplish 3D printing with robots. Tip: Right click an object in RoboDK to save it as STL. 3D Print Project to open the 3D printing settings. These settings are the same as a Robot Machining Project, the only difference is that the Path input is preset to 3D print object. Select Select object to select the object on the main screen and automatically obtain the toolpath. Select 3D printing options to open Slic3r. Important: When the 3D print object option is selected, the slicer Slic3r can be used by default to convert the object to a toolpath. Alternatively, other slicers can be used by generating G-code programs and converting them to robot programs as shown in the Robot Machining project. By default, RoboDK translates the E directive as a program call to a program called Extruder and passing the E value as a parameter. Select Program Events to change this behavior. The Extruder value (E) represents how much material needs to be extruded before each movement. This value can be used to drive the extruder feed from the robot taking into account the robot speed and distance between points. Alternatively, it is possible to calculate the extruder feed using a post processor and generate appropriate code accordingly. The following section provides an example. Note: Some robot controllers can synchronize the motion of the tool with an extruder feed automatically. This section shows how to modify a robot post processor to calculate the extruder speed before executing a movement instruction for 3D printing. Alternatively, these operations can be made on the robot controller with the Extruder program call (default command to drive the extruder). By customizing a robot post processor, it is possible to make the integration of an extruder for 3D printing easier before sending the program to the robot. To accomplish such task, we need to do some calculations and output customized code when the program is generated in the robot post processor. Note: Some post processors, such as the ABB RAPID IRC5, the KUKA KRC2 and the Comau post implement these recommended modifications by default. # Intercept the extruder command. The Extruder value (length/E) is saved as the PRINT_E_NEW variable in the robot post processor. Finally, we need to define a new procedure that will generate appropriate extruder feed commands according to the distance between movements, the robot speed and the robot acceleration. This assumes the extruder feed is driven by a specific analog output or a customized program call. We need to add the following code before the def MoveL program definition. 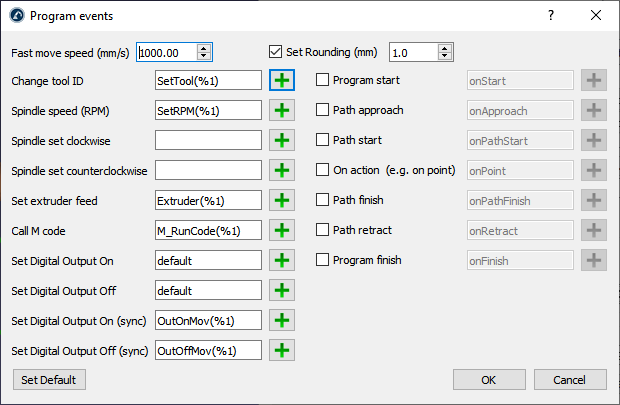 Important: Using a rounding value when programming the robot in RoboDK will help maintain a constant speed and minimize the behavior of the acceleration. In that case, the time can be calculated as distance/speed. """Calculate the time to move a distance with Amax acceleration and Vmax speed"""
"""Implement the action on the extruder for 3D printing, if applicable"""